U.S. Senators Demand Action on Takata Airbags Safety Recall | Merkel & Cocke, P.A. In June 2017, Takata reported that they expect to recall about 125 million vehicles worldwide by 2019, which includes more than 60 million vehicles in the United States built by 19 manufacturers. So far, the defective airbag inflators have been responsible for the deaths of 22 people and have caused hundreds of injuries worldwide. Twenty of the deaths have occurred in the U.S. in Honda vehicles, and two have occurred in Ford vehicles. Ford continues to strongly urge owners of affected Ford vehicles to get the defective airbags replaced. The deaths and injuries occurred when the defective airbag inflators, which are supposed to cushion the driver and front seat passenger in a crash, instead explode with great force shooting metal shrapnel inside the vehicles. The massive recall of the defective airbags led Takata to file for bankruptcy. Senator Bill Nelson said that he hopes, “we’ll finally get a real plan to improve the still woeful recall completion rates.” He sent a letter to 19 automakers asking them to disclose details on the pace of fixing vehicles. In July 2017, Senator Nelson cited an independent report which revealed that Fiat Chrysler, Mitsubishi, Toyota and Volkswagen have acknowledged installing the faulty airbags in new vehicles. 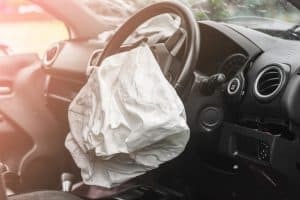 The editors at CarandDriver.com have been keeping an updated blog posts with all the details about the Takata airbag recall. You can also visit the NHTSA website, SaferCar.gov, enter your vehicle’s VIN number and find out if your vehicle is affected. You will already have received postcards in the mail from your vehicle’s manufacturer warning you to get the airbags replaced. It will cost you nothing to get your vehicle’s airbags replaced, but you do have to bring it to the delaership to have the work done. The Mississippi car accident attorneys at Merkel & Cocke, P.A. will investigate the circumstances surrounding your accident and find out who or what was responsible. We work to get you compensation for your injuries. Our lawyers have offices in Jackson and Clarksdale. You are welcome to call us today at 662-799-1633 or complete our contact form to schedule a free consultation. When Can You Make a Claim for Compensation for Injuries in a Mississippi Car Crash?